Recently, I have been wanting to improve and build up my makeup brush collection. 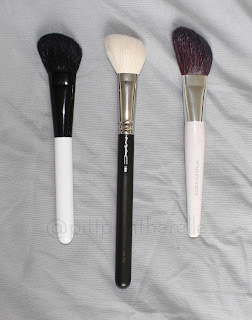 This all started whenever I got my first Chikuhodo brushes (Z-4 & Z-10) for my birthday, and they have turned my world around. They are extremely soft and apply makeup beautifully. 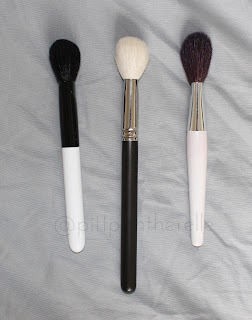 As a graduation present, my boyfriend was so kind to help me with this makeup brush collection improving quest and placed an order of several brushes I wanted to try from CDJapan. 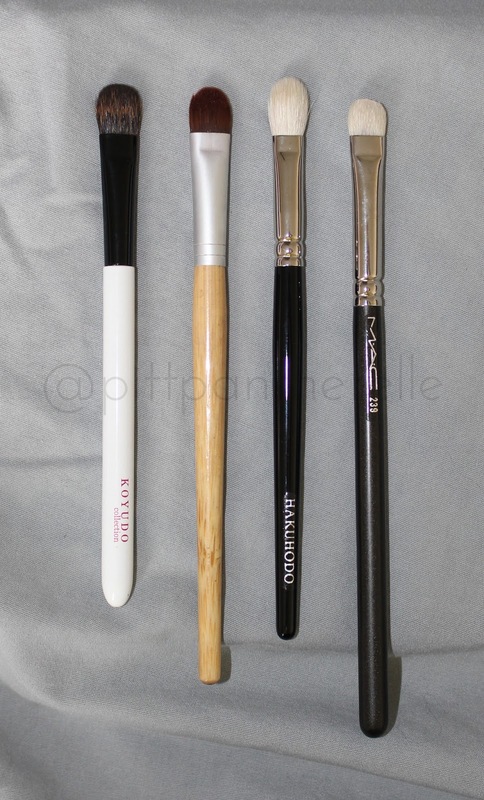 CDJapan is a site that sells a huge variety of makeup brushes as well as other Japanese goods. Also, prepare for a long and picture heavy post. The only customer service experience I have with CDJapan is emailing them with a question concerning a promotion. I have not received a reply to said email and wished they did email me back. However, it was not a pressing issue so I did not send the email again. So take this tid bit of my experience how you want. I ordered from CDJapan on June 9th and opted to get the EMS shipping option. This option is one of the faster and more expensive options and includes tracking and insurance. Since two of my items had a longer process time (8-13 days), I expected a bit of a wait before they sent it out. They shipped out my order June 19th, and I received it in my mailbox June 23rd. This was very fast shipping considering it came from half way across the world. Once opening the packaging, everything was bubble wrapped very well to ensure no damage to the products in their long journey. Very, very impressed with the shipping and packaging, and I will most definitely be purchasing again. Just a note but there rewards system is really good. You receive 3% points on every item that you purchase and if you reach certain dollar amounts, you get bonus points. You can also earn extra points by filling out customer surveys sent to you or if asked to review the products you received. These points seem to build up pretty quickly because I am already at ~2500 points and 1 point equals 1 yen off your next purchase. 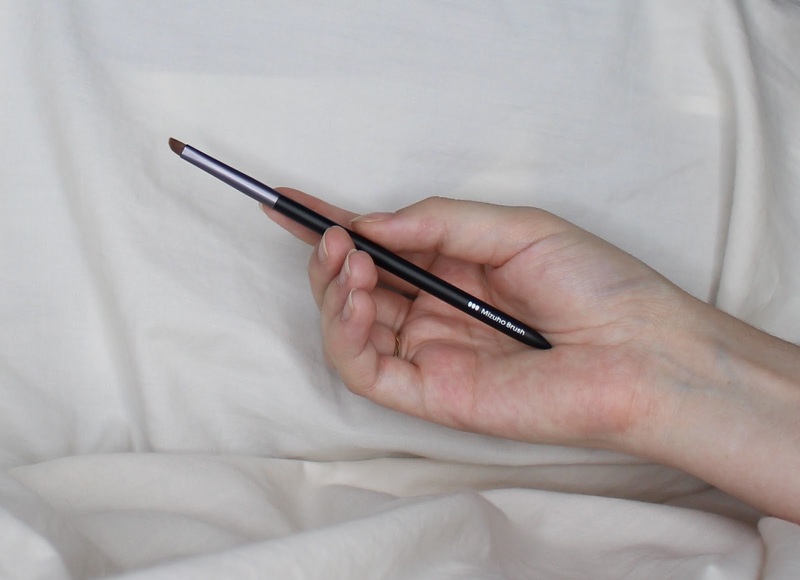 Continue reading for all the goodies! 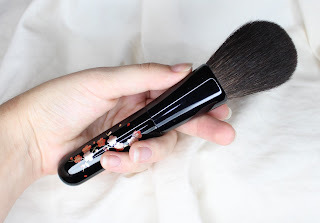 The Chikuhodo MK-2 is a 100% grey squirrel hair powder brush and features traditional Yamanaka-nuri style maki-e (as written on CDJapan) on the handle. 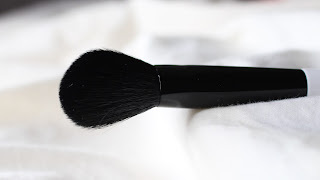 I needed a really good powder brush because the two powder brushes I had similar to this weren't really doing the job for me. 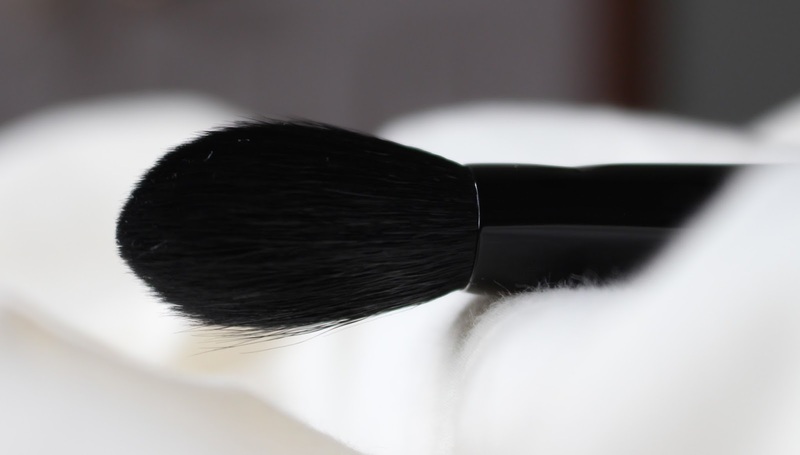 This is extremely soft and applies a light amount of powder. 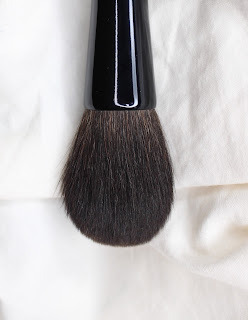 If you have oily skin, I recommend going for a goat hair brush as this brush does kind of clings and tugs to any excess moisture or oil in the skin. 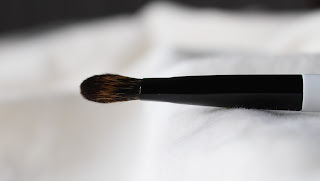 A quick note but this brush takes forever to dry whenever you wash it, which I find happens with squirrel hair brushes. The Koyudo Fu-pa-13p is a foundation brush that can be used for cream and liquid foundation and is made out of baby goat chest hair. While the brush did not shed any hair during its first wash, it has shed some hairs (~1-3 hairs each use) while applying my tinted moisturizer. 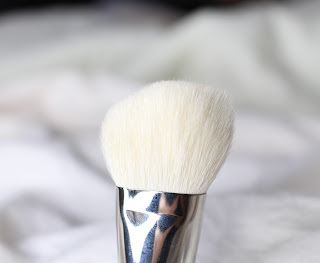 It is normal for a face brush to shed a small amount whenever you first receive and I will have to use it more to see if it continues shedding. 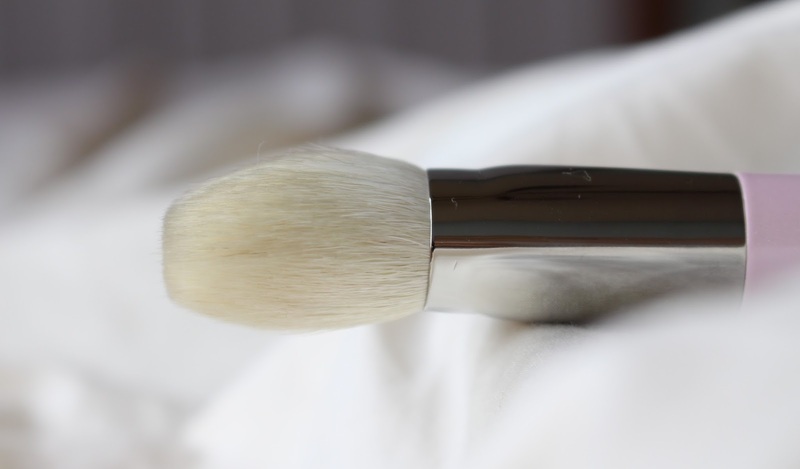 It is a soft brush that distributes the foundation pretty well and will not absorb much of the product if you really buff the product in. The thing I love most about the brush is its unique design; the tip of the brush is flat so that you can use that surface to place the product and then buff the product in. 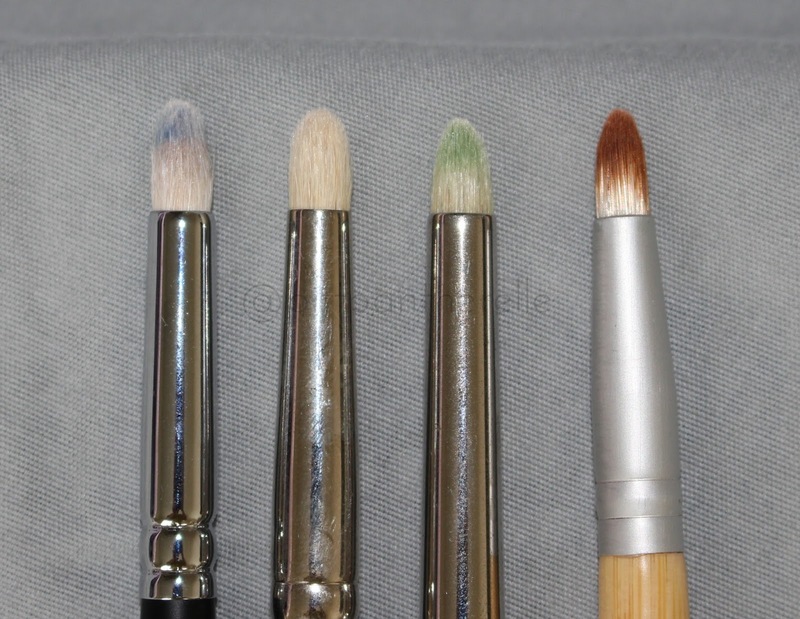 I tried my best to capture the shape with several pictures and angles but you can find a schematic of the brush head shape on the CDJapan website. This is probably the shortest brush I own. 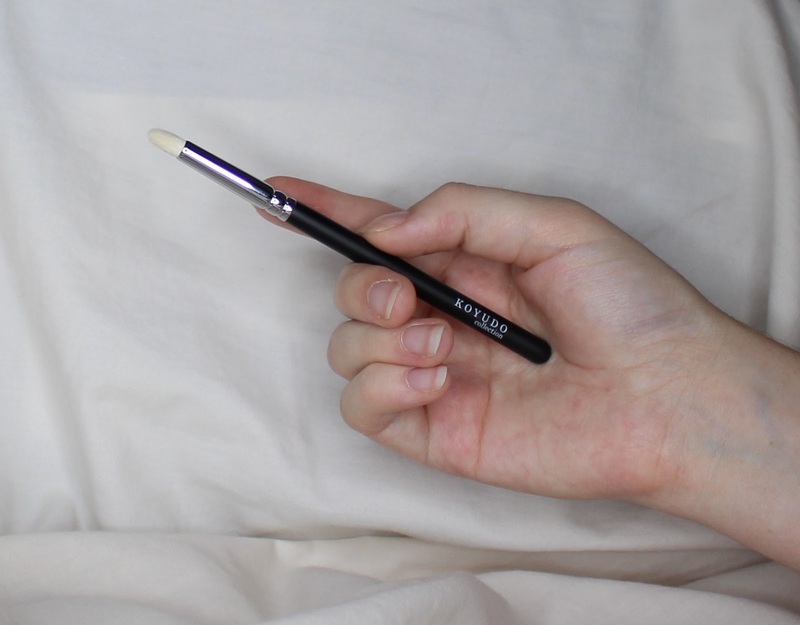 I find that the shorter handle gives me more control whenever applying my foundation. The Koyudo BP020 is a angled blush brush made out of Sokoho goat hair. I really like this shape whenever applying and blending blush because I can pack the color towards the tip and blend with the whole brush head. 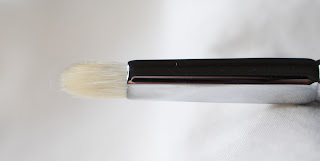 This brush is very soft for goat hair and feels kind of like squirrel hair but it does deposit a lot of color despite how soft it is. 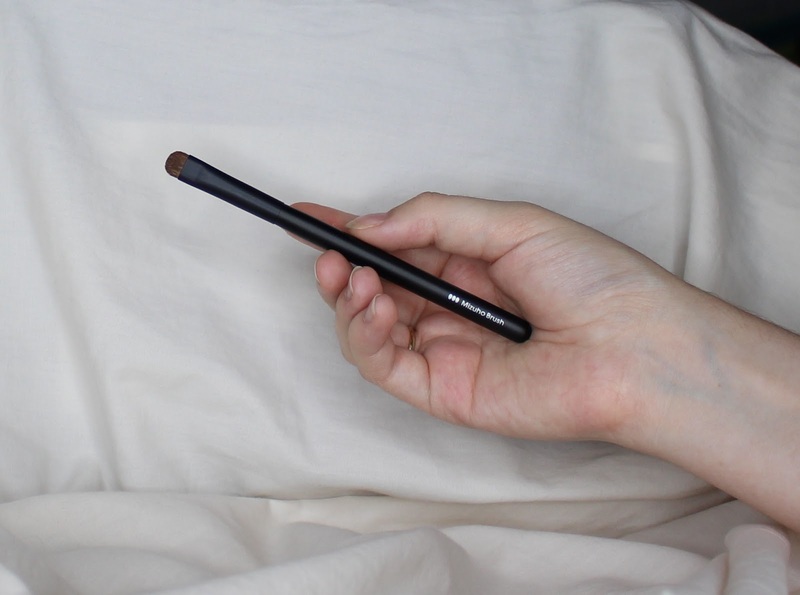 I recommend using this for blushes that aren't as pigmented. 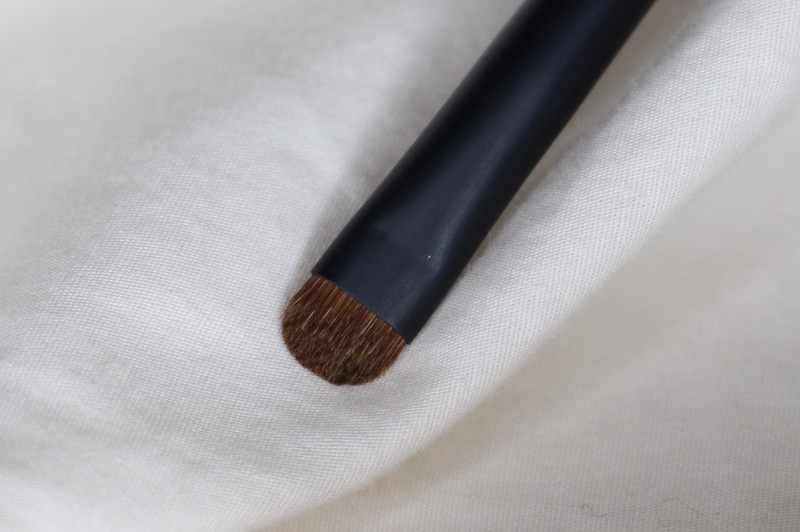 The Koyudo BP032 is a pine squirrel blending brush. Whenever you receive this brush, it is pinched in and feels hard and you may think something is wrong with the brush. However, companies add a starch coating to protect the hair fibers from being damaged during shipping and any other travel. 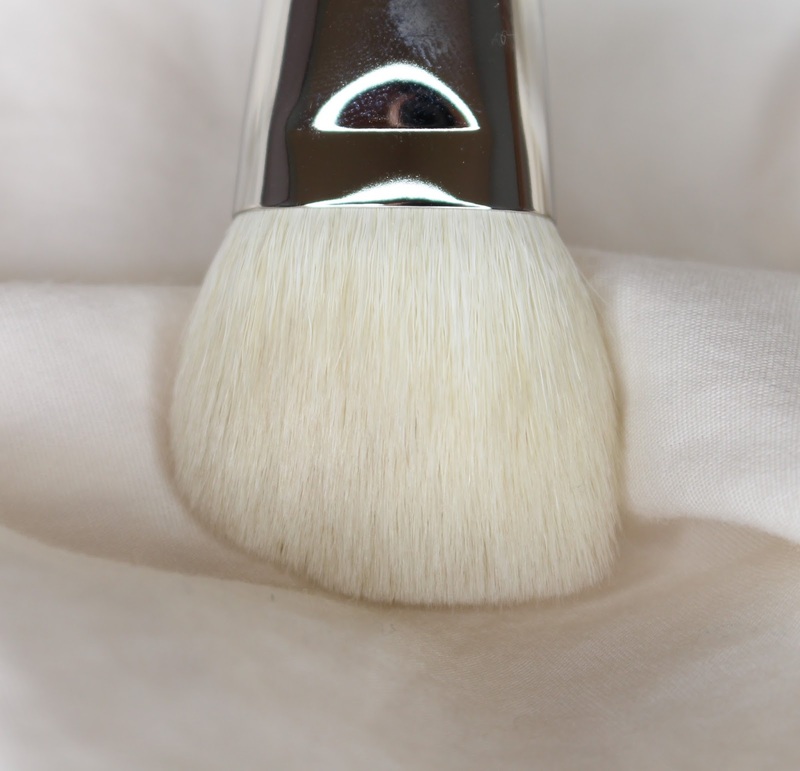 This coating will wash easily if you wash the brush with a mild shampoo such as baby shampoo and really work it into the brush. 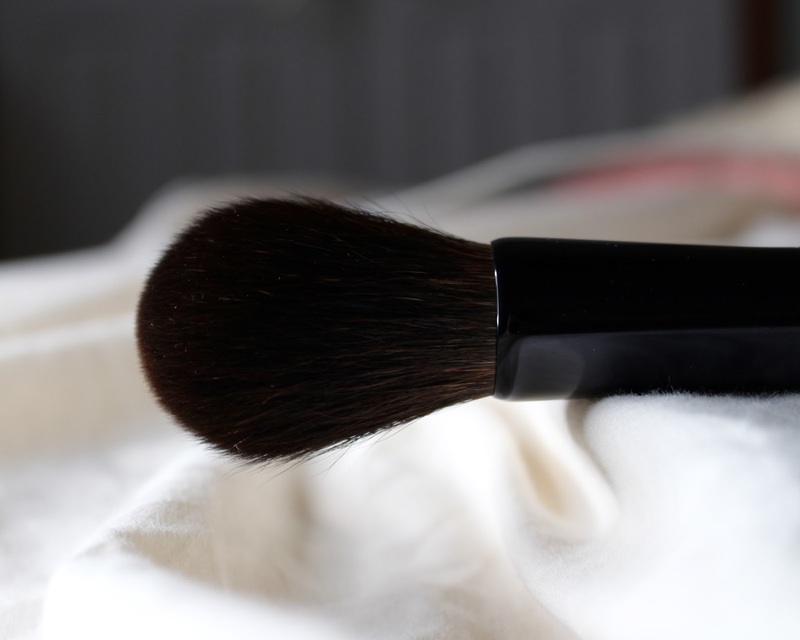 Once you do wash it, it puffs out and then can be used. I thought that this brush would be like a Hakuhodo J5523 dupe but made out of pine squirrel hair. I was proven wrong after washing it. You can see comparisons later in the post showing the differences. I have never really used a brush of this shape and didn't really know how to use it. I have found after some use that it smokes out eyeshadows beautifully and gives it a nice gradient of blendy-ness, especially for lower lash line work. 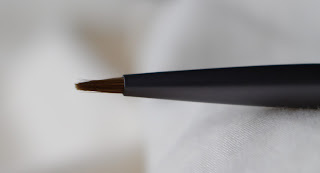 The Koyudo C011 is a goat hair pencil brush. 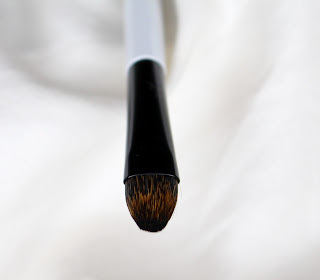 It is protected with a starch coating just like the BP032 and can be easily washed out. 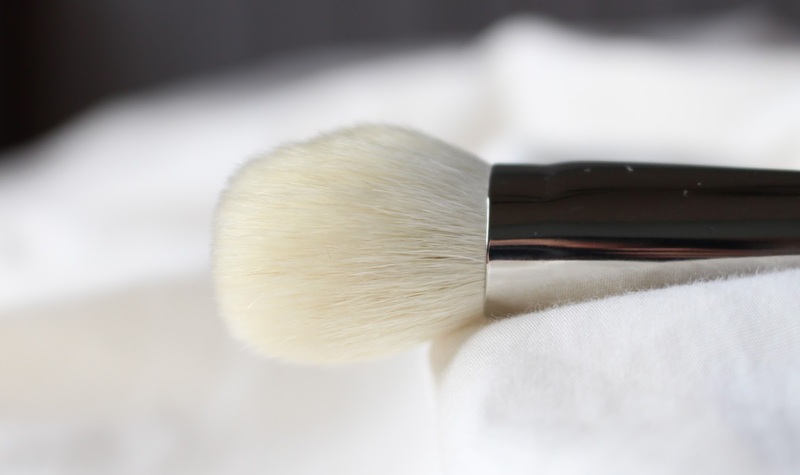 Once washed, it fluffs out to a rounded head. This is one of the best pencil brushes I own, along with the Chikuhodo Z-10, because it does not irritate my sensitive lower lash line. However, I find the brush can be a bit floppy when applying makeup and takes longer than usual to dry when using Parian Spirit. 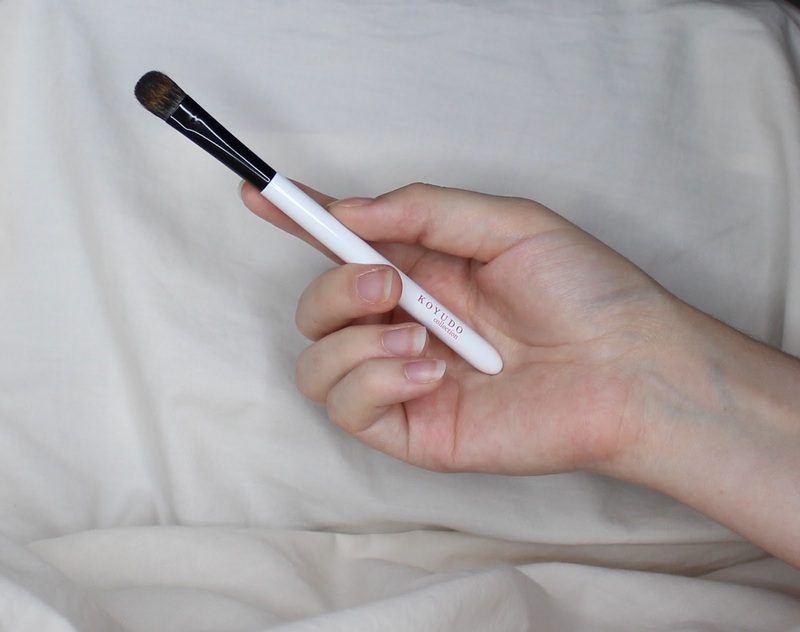 The Mizuho CMP-551 is a pony/weasel mixed hair smudger brush that can also be used for the brows. 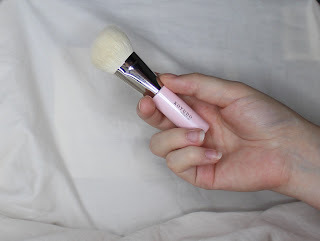 I find that this is like the other smudge brush I own but a smidge softer. It does not fluff up after the first wash. 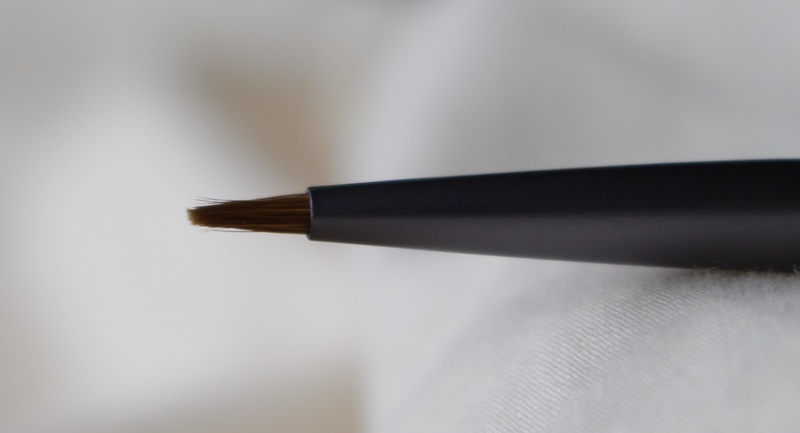 The Mizuho MB-133 is a weasel/PBT synthetic mixed hair angled eyeliner brush. 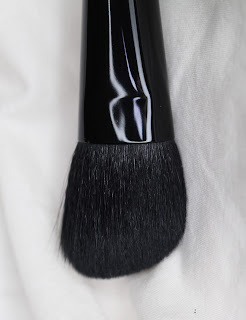 I find this to be another unique brush head because the brush tapers towards the tip of brush. This tapering makes it a breeze to apply liner to the lash line. 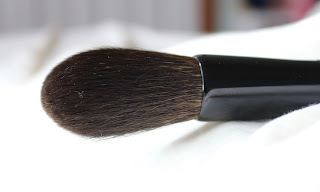 This is another brush that does not fluff up after the first wash. 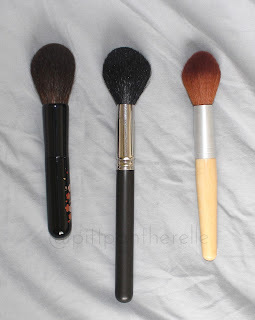 The Chikuhodo MK-2 is the softest of the three, followed by Ecotools and then MAC. 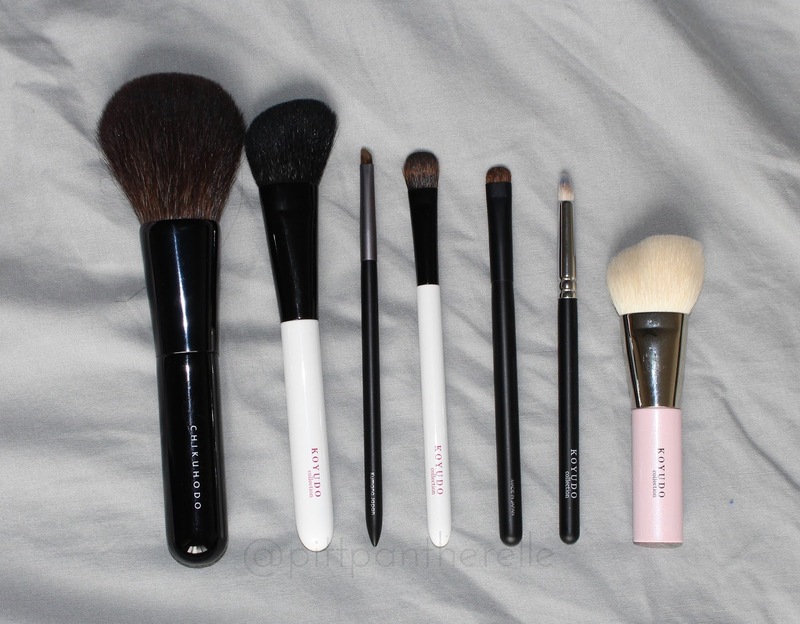 I can not even use the MAC one because it is really scratchy against my skin. Chikuhodo is made of squirrel hair, Ecotools is made of synthetic fibers, and MAC does not list the hair type it use but I would assume it is goat. 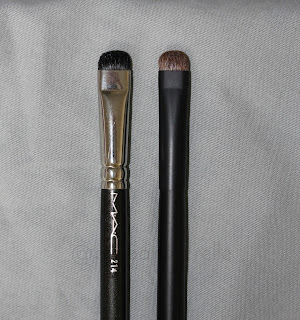 The MAC brush fluffs out more and is not as dense as the Ecotools and Chikuhodo. 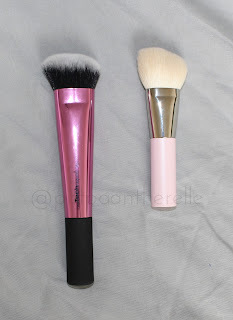 The Ecotools and Chikuhodo have about the same density of hair. 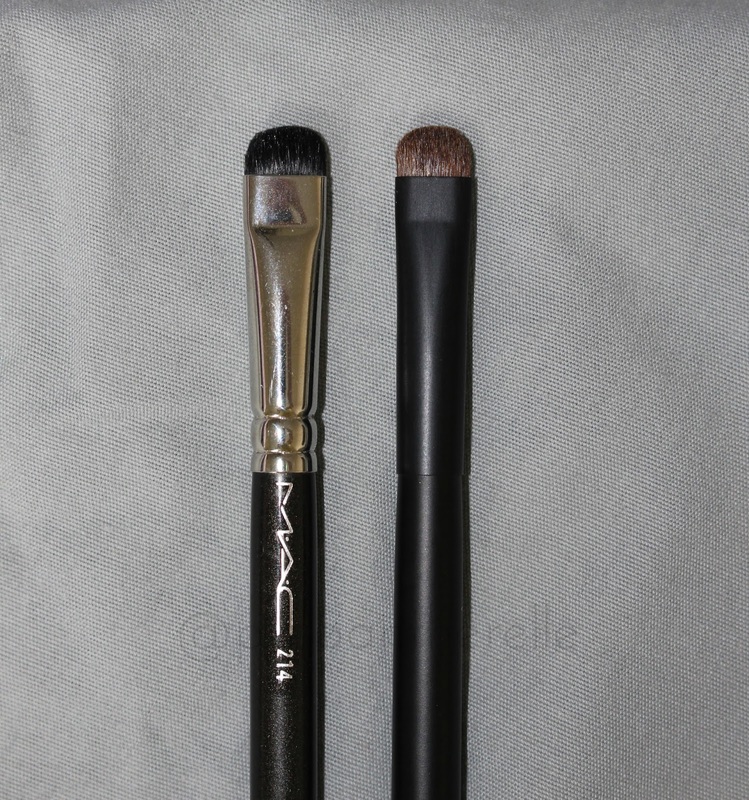 The MAC and Ecotools brushes apply a moderate amount of product and the Chikuhodo applies a lighter amount of product. If you want your powder to have more coverage, you will have to build it up more with the Chikuhodo brush. The Ecotools feels lighter weight-wise compared to the MAC and Chikuhodo, which have similar weights. The Koyudo and MAC brushes have about the same softness and the Sonia Kashuk is the roughest of the bunch. 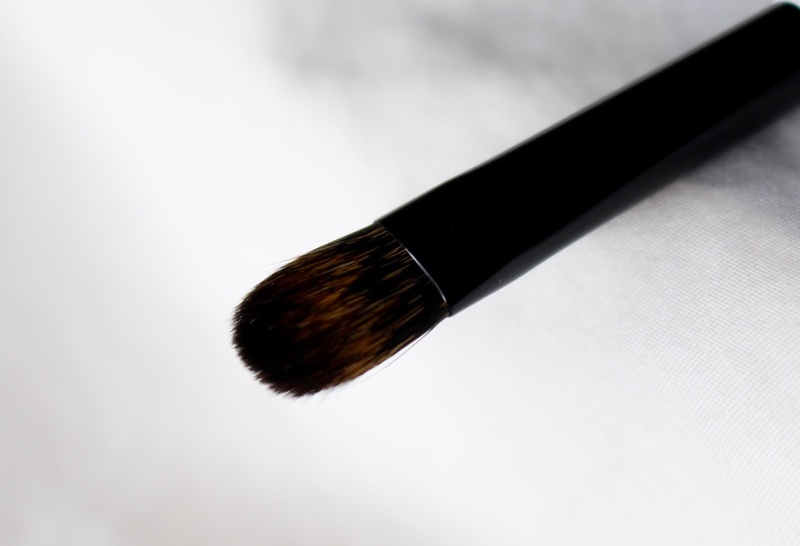 The Koyudo applies a heavy amount of product, the MAC applies a moderate amount of product, and the Sonia Kashuk lightly applies product. You will have to build up coverage with the Sonia Kashuk brush but I find that can be difficult because the brush irritates my skin if used too much. The MAC brush fluffs out more than the Koyudo and Sonia Kashuk. 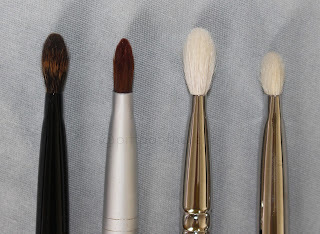 The Sonia Kashuk brush is floppier than the Koyudo and Mac brush because of the longer hair bristles. 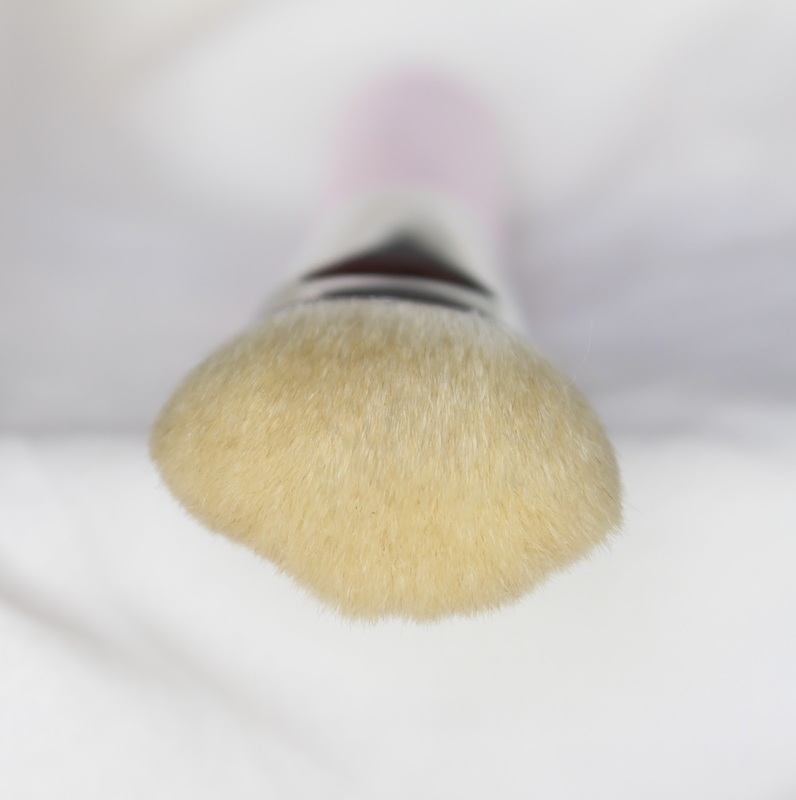 While the MAC brush is a bit fluffier, it is the most dense of the 3 brushes, but it is not much more denser than the Koyudo. The weight of the Koyudo and Sonia Kashuk brushes are about the same and the MAC brushes feels a bit heavier. The Koyudo has a slightly different brush shape than the Real Techiniques brush. 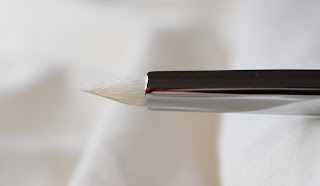 This flat tip that the Koyudo brush has makes it better to use for foundation application. The Real Techniques brush is denser than the Koyudo. 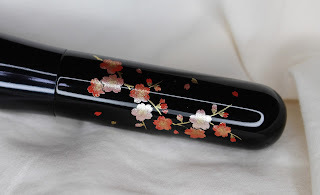 I find that the Koyudo is a bit easier to use because it isn't very dense like the Real Techniques. 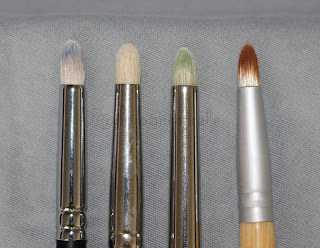 The Koyudo and Real Techniques brush are about the same softness. The Koyudo is made of goat hair and the Real Techniques is made of synthetic Taklon fibers. 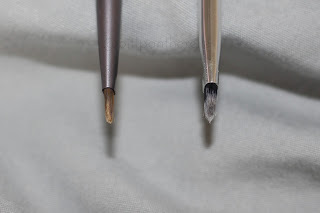 The Koyudo brush handle is a lot shorter than the Real techniques handle and gives the Koyudo the advantage of a more controlled application. 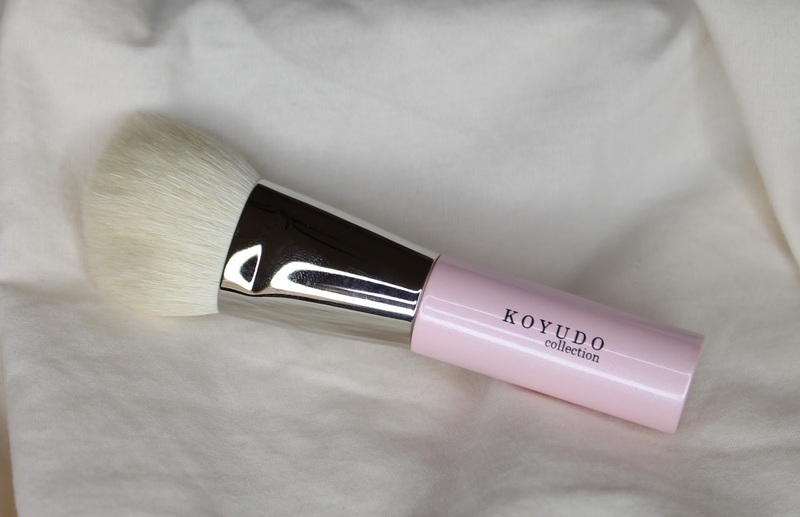 It also makes the Koyudo brush lighter in weight. The Mizuho is made of a mix of weasel and PBT synthetic fiber and the Real Techniques is made of Taklon synthetic fibers. 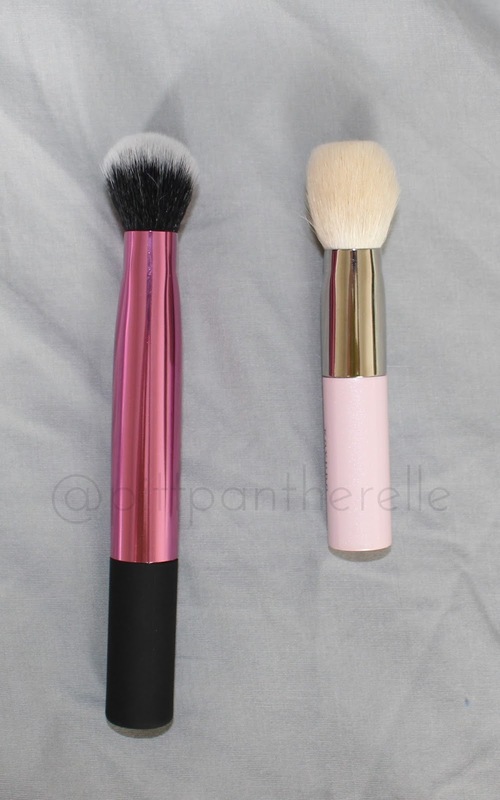 Both brushes are about the same softness. 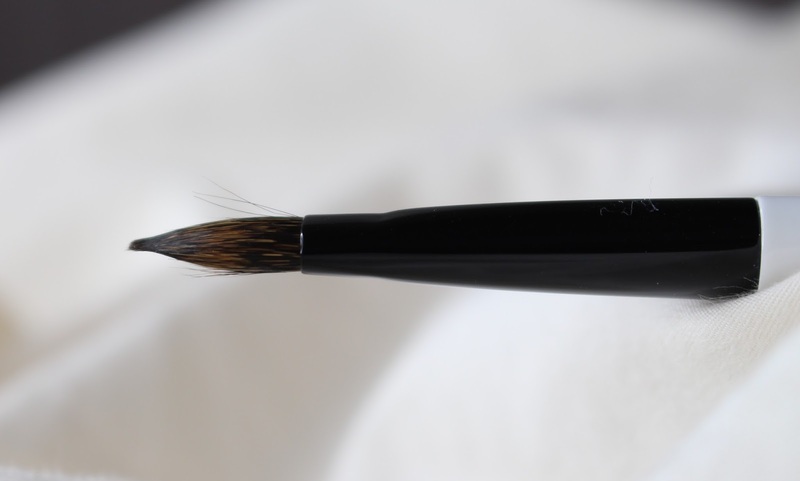 The tapered tip to the Mizuho brush makes it easier to apply winged liner compared to the Real Techniques brush. Both brushes feel about the same weight. The Real Techniques brush is harder to acquire because it is a set exclusive brush and I believe the set is no longer available. The Koyudo is the softest of the bunch followed by MAC and Bdellium equally and then Ecotools. 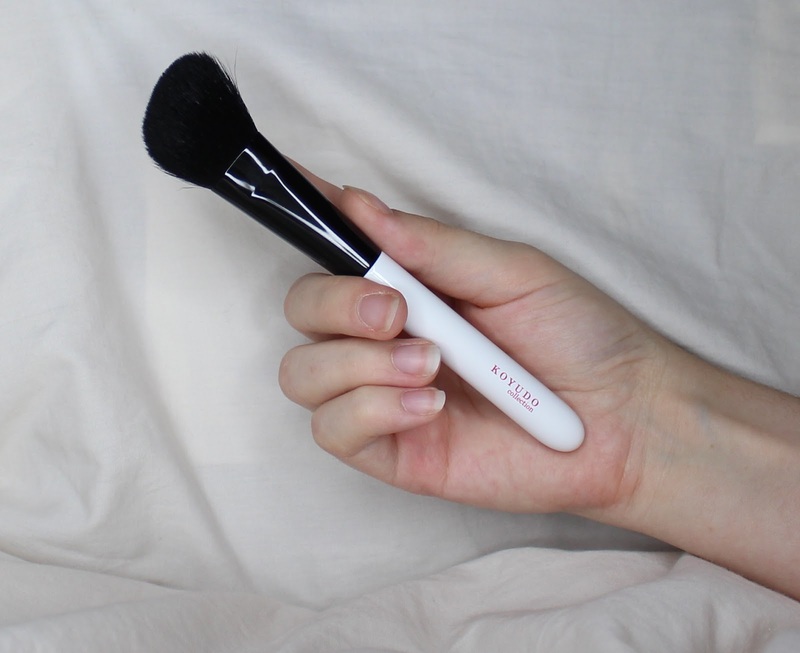 The Ecotools is a stiff brush and does not have much give to it. The Koyudo is made of goat hair, the MAC is made of natural bristles (presumably goat), the Bdellium is made of a mix of natural bristles (presumably goat) and synthetic fibers, and the Ecotools is made of synthetic fibers. 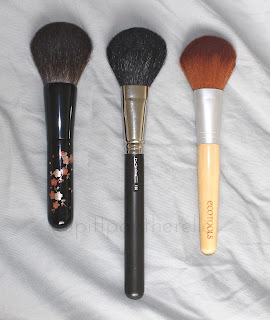 The Ecotools is the heaviest brush followed by the MAC and Bdellium brushes equally and then the Koyudo is the lightest. This brushes are essentially the same. 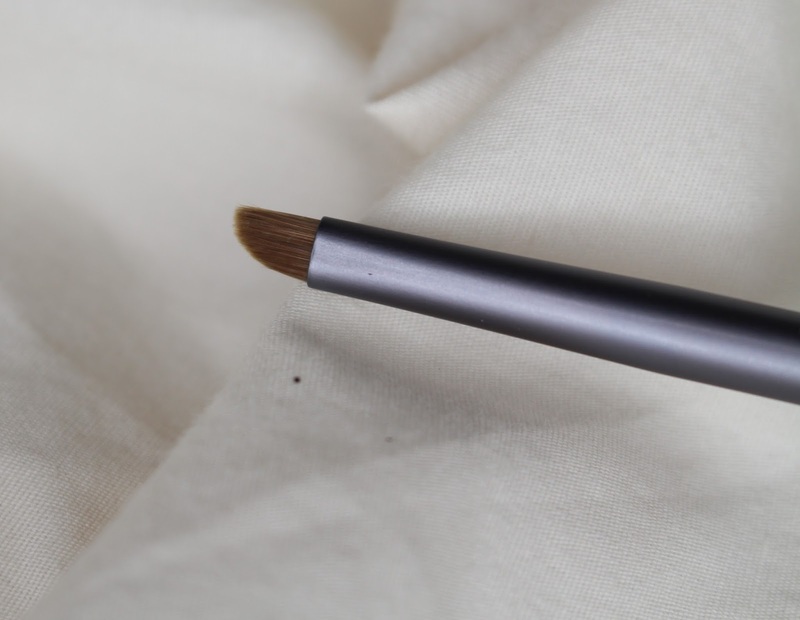 However, the Mizuho is a lighter feeling brush, slightly softer, very, very slightly longer, and less expensive than MAC. 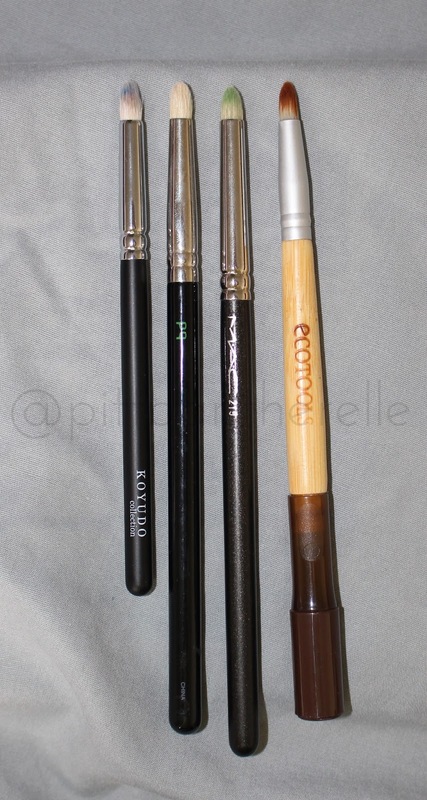 These are all different brushes but wanted to show how the Koyudo BP032 compares to other brushes I have. I have nothing like the Koyudo in my collection so I have no direct comparisons. Thank you for reading this lengthy post and reaching the bottom! I hope that what you find was informative and will help you make decisions on any purchases or non-purchases. Great and in-depth post, thank you!